Noah Hawley, Dan Stevens, Aubrey Plaza and more “Legion” cast and crew revealed exciting new plot details for Season 2 at Comic-Con. 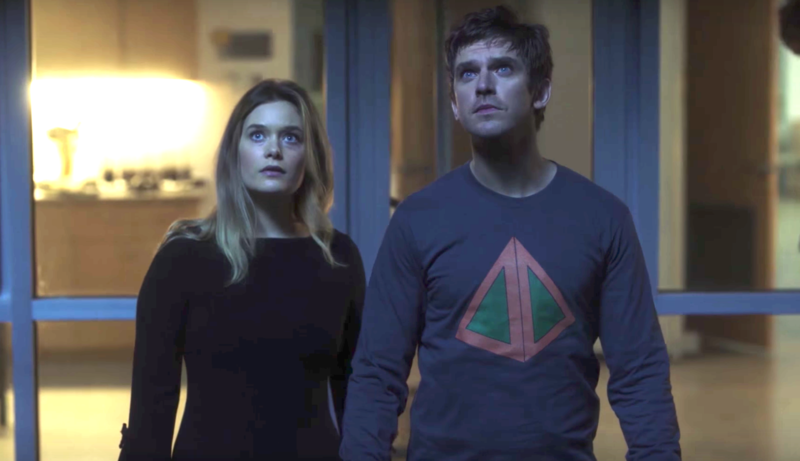 “Legion” fans showed up in droves for FX’s Comic-Con panel Thursday evening, and even though production on Season 2 has yet to begin, the audience was treated to a number of new details. First and foremost, the second season has received an expanded episode order from FX. Season 1 consisted of eight episodes, but the follow-up will feature 10. John Solberg, the network’s executive vice-president of communications, also announced production is slated to begin in early 2018. Joining the existing cast will be a new face playing an existing villain. Said Taghmaoi (“Wonder Woman,” “Three Kings”) will play the Shadow King, also known as Amahl Farouk. Able to possess human bodies, the Shadow King is a being made of pure psychic energy which feasts on the hatred within humans. He (or it?) has already possessed Aubrey Plaza’s Lenny and Jemaine Clement’s Oliver, but now the three of them will form a “trio” of big bads in Season 2. Clement’s character will also be explored further in Season 2, as he and Lenny build on their new partnership in evil. As for David, the series’ main character who ended Season 1 trapped inside a tiny flying orb, Hawley was tight-lipped. “He went on a little ride in a little ball, and that obviously will take him someplace. And he’ll obviously have to find his way back to the others… he said, informatively,” Hawley said, to a few laughs from the crowd. But the center of the series remains romantic, and Hawley did say that David and Sydney’s relationship will continue to develop in Season 2. Later in the panel, Hawley and his fellow executive producers were pressed as to whether David Heller’s father, Professor Xavier, would make an appearance in the upcoming season. “I hadn’t thought of that. That could be good, right?” Hawley said, sarcastically. Stevens, who recently appeared on Entertainment Tonight with Patrick Stewart (who’s played Professor X in multiple films), mentioned during the panel that Stewart wasn’t aware of the series, but seemed excited about it. A fan then asked if they knew which version of Professor X would appear in the series. To end the panel, Hawley made a related announcement: He’s currently developing a movie on the Marvel comic book character Doctor Doom. “Legion” Season 2 is expected to air in 2018.